February 15, the North Caucasus District Military Court of Russia held a meeting on the "Yalta case" of Crimean Muslims, according to the report of Crimean human rights group. During the trial, the key witness of the charge was an employee of the "FSB Directorate for the Crimea and Sevastopol" Aleksandr Kompaneytsev. Earlier he was an employee of the Security Service of Ukraine. 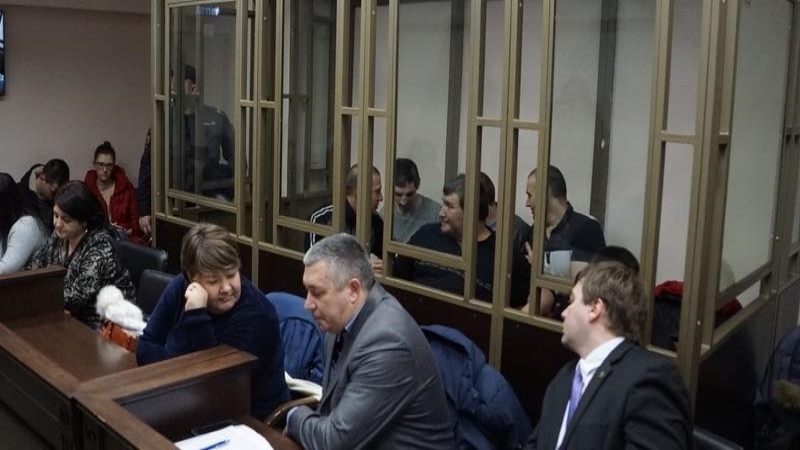 One of the accused in the far-fetched case, Enver Bekirov, told the court that he had first seen the FSB officer in the pretrial detention center, where Kompaneytsev came to persuade Bekirov to cooperate, threatening to arrest his relative Refat Alimov in case of refusal. Bekirov refused, and Alimov was detained a few months later. The interrogation of witness Kompaneytsev will be continued at the next meeting, which is scheduled for February 20. Earlier, the Speaker of the Ministry of Foreign Affairs of Ukraine Mariana Betsa on behalf of the state protested in connection with the trial of those accused in the invented "Hizb ut-Tahrir case". Betsa said that Kyiv requires Moscow to release political prisoners. Reference: The defendants of the so-called "Yalta case" include Refat Alimov, Arsen Dzheparov, Emir-Usein Kuku, Muslim Aliyev, Enver Bekirov and Vadim Siruk. They are accused of participating in the activities of the Islamic party Hizb ut-Tahrir.